Many people are surprised to learn the extent to which we recycle our goods and avoid sending trash to landfills. Consider a very simple example. All businesses have spills that need to be cleaned and surfaces that need to be wiped down. Whether you are a restaurant or a tool and die shop, you need towels! You have two basic choices. The first is a laundry service like Domestic Uniform Rental that offers a re-usable towel service. The second is to purchase disposable towels from a distributor or local store. Every time a towel is used, it has to be put somewhere for disposal. Towels from a laundry service get put into a bag and are taken away for laundering. Store bought towels go in the trash along with whatever substances were on the towel at the time is was done being used. Where do each of those towels then go? Domestic will pick up its towels, take them back to our laundry, sort them according to the likely contaminants contained in the soil, and clean and sanitize the towels for another use. All of the contaminants generated by our customers are then removed from the water and appropriately recycled or disposed. Many of the oils that we remove from the water are themselves able to be reused in other applications. 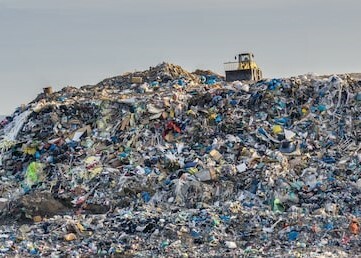 Little if anything goes to a landfill. Now consider the store bought towels. They are basically put into a trash container along with all of the other refuse of the business and sent to a landfill where they sit for years until they biodegrade. What is worse is whatever was wiped up with that towel travels to the landfill with the towel. That towel will never be used again and the natural resources used to make that towel will be wasted. But we’re not done! 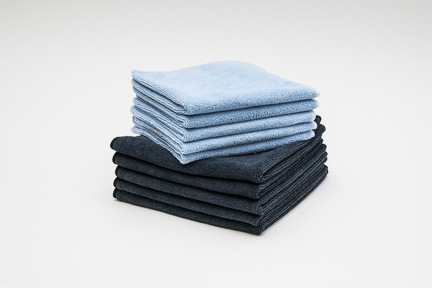 When a towel is stained or torn, it will be pulled from rental inventory by our inspection team and sold as a rental rag to our customers for use in more difficult applications that would normally damage our rental towels. But we’re still not done! 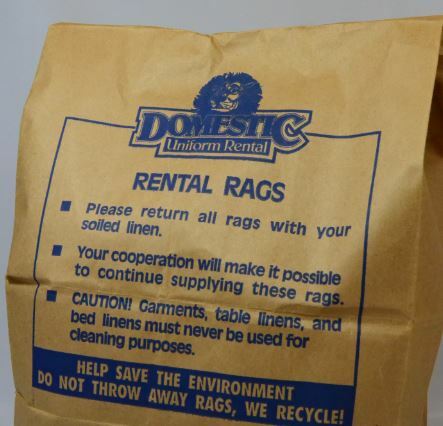 We will pick up even our rental rags, launder them, and send them out for re-use once again. All told, a single towel could end up doing the same job as 50 store bought towels. Multiply that by the hundreds of thousands of towels that we launder in a single week and you can begin to imagine the impact.